Joseph is interested in methodological, algorithmic, and software development at the interface of uncertainty quantification and scientific computing. He is particularly interested in efficient methods for computationally intensive problems with high dimensional parametric uncertainty. Joseph earned a B.S. in Mathematics from North Carolina State University in 2014, a M.S. 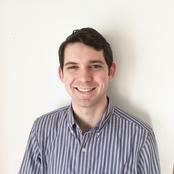 in Applied Mathematics from North Carolina State University in 2016, and a Ph.D. in Applied Mathematics with an Interdisciplinary Track in Statistics in 2018, with his dissertation "Extensions of Global Sensitivity Analysis: Theory, Computation, and Application."